As you know PayPal introduced restrictions on Indian account holders by barring them to send any kind of payments through their PayPal accounts. They must undeerstand that huge small freelancers community in India is 100% dependent on PayPal to send and accept payments. They merely do business of not more than few bucks to keep them running and paying their hosting and domain charges from that. But since RBI introduced new norms everything stopped and we are still struggling with our work and earnings. For RBI is the reason is money laundring etc then we would like to tell that all money laundering activities dont require PayPal etc - Just ask our Politicians and Bribe takers how they manage to maintain a healthy wealth? Did Kalmadi, A Raja, Dhinakaran, Kanimojhi used PayPal? My suggesstion to DUMB rule makers not to make silly rules which are easy to announce. I request RBI to ease such norms which prevent us from using PayPal, u can can keep a upper cap on sending amounts but please dont just stop this. I request PayPal also to show some interest and open Indian offices like Google and Yahoo to start sooperating with silly Indian laws. I support this petition. 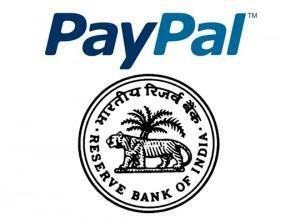 And also i request paypal to don't charge on small transaction.